The Aberdeen Western Peripheral Route, Balmedie to Tipperty project is a major transport infrastructure project. It will significantly improve travel in and around Aberdeen and the north-east of Scotland. Supporting economic growth, reducing congestion, cutting journey times, improving safety and lowering city pollution. 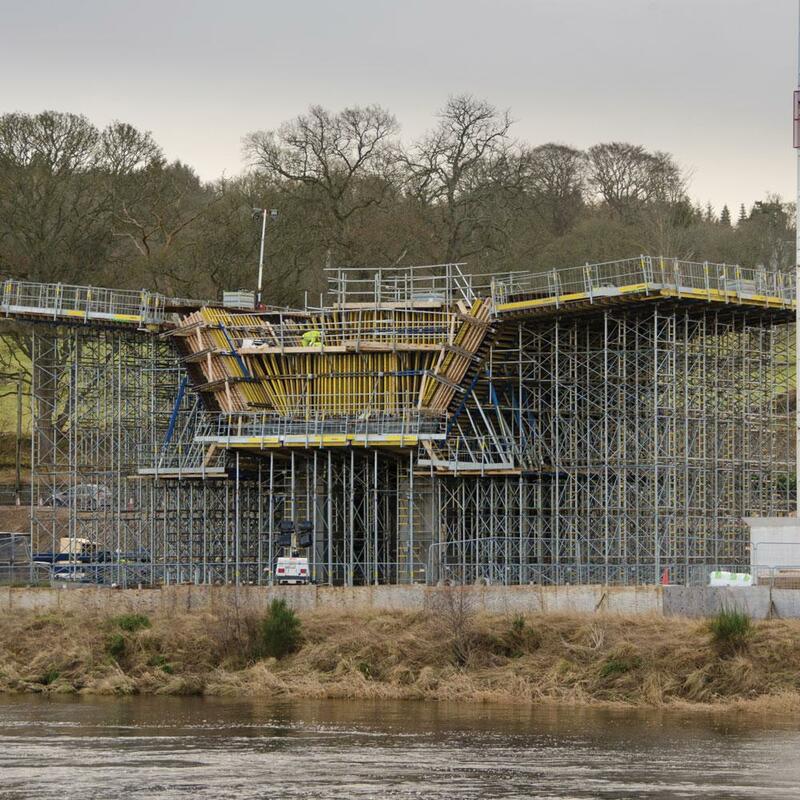 This project is at the heart of the Scottish Government’s commitment to improve transport in Aberdeen and across the north east of Scotland and the two major structures crossing the rivers Dee and Don are both Box Girder Balanced Cantilever designs and are a twenty one year gap since a the Skye Bridge balanced cantilever bridge was built in the UK. Environmental challenges; Reduction of noise and pollution; Time-pressure; With a sensitive focus on rivers Dee and Don. 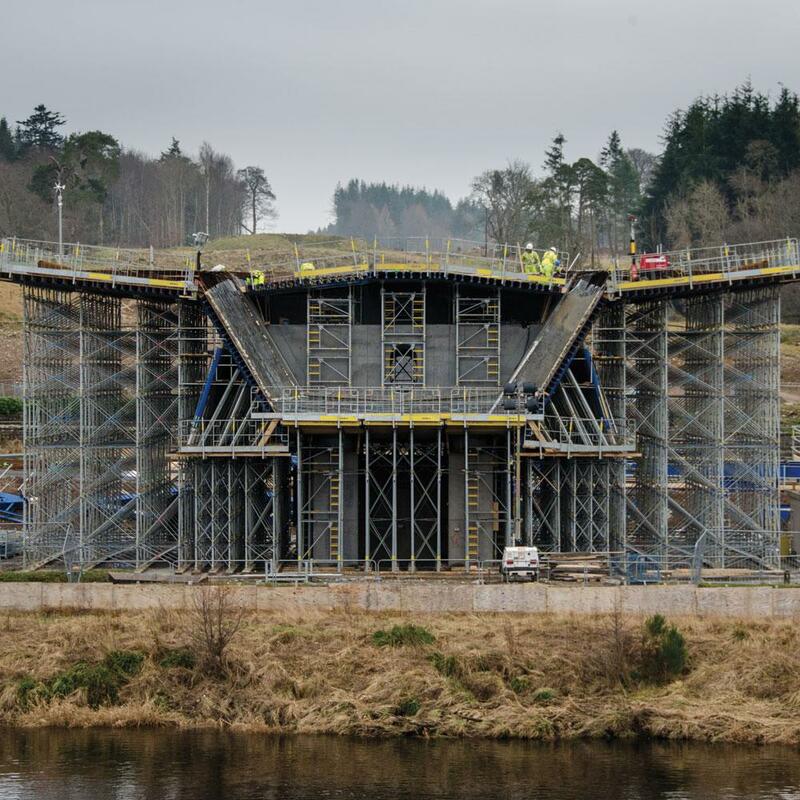 Doka provided early consultancy services, designed and supplied specialist Cantilever Formwork travelers (CFT’s) for the segmental construction of the bridge decks, including the formwork to construct the Reinforced Concrete Box Girders, intermediate peers north and south abutments and hammerheads. Thank you for your interest - Aberdeen Western Peripheral Route (AWPR). Thank you very much for your interest - Aberdeen Western Peripheral Route (AWPR).